Huntress. What comes to mind when you hear this word? Does it stir up a sense of pride, or possibly evoke a feeling of anger? Such a simple word with such a simple meaning, yet one that can make quite an impact. 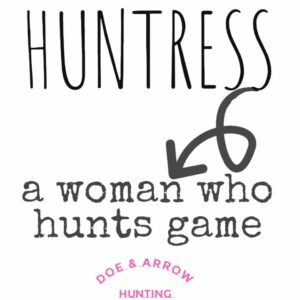 I have read a couple of articles in the past year or two which stated that women who hunt hate being called a huntress. These articles went on to say that these women felt the term to be derogatory, degrading, and even thought that it made them look inferior as a hunter. 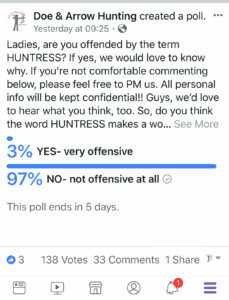 Many of the women polled or interviewed for these articles stated that they felt they would not be taken seriously as a hunter if they were to call themselves a huntress, rather than just using the term hunter. 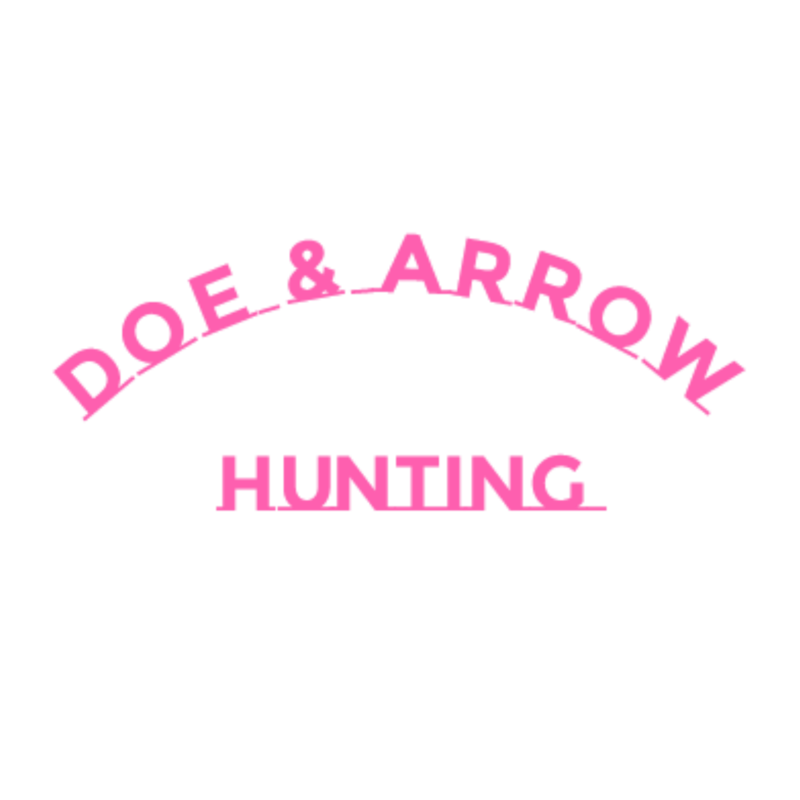 So, with that said, we decided to do our own poll on Doe & Arrow Hunting. At the time this article was written, the poll was still open. However, we have noticed that the most activity generally comes on the first day. So, if you are reading this prior to January 16, 2019, and you want to jump in and vote or share your opinion, we would love to hear from you! As you can see, the majority of the vote went to “No- not offensive at all”. I confess, I was really surprised by how few people voted yes. I really thought it would be much closer, even possibly going the other direction. I had posted polls in the past that swayed way more toward women finding it offensive. So, this leads me to think maybe there has been a shift in the way we are thinking as a society. Maybe all of a sudden it’s a good thing to embrace your femininity again. Hopefully, women are starting to see that the title huntress is not a sign of weakness, yet a sign of strength. Personally, I am very proud of being a female in the hunting world. I don’t see myself as weak or inferior. Yet, I also admit that I have to call my husband to help me drag and load my deer. I am not strong enough on my own; and I have no problem with that. But hey, on the flip side, most men also call on someone to help them load up their deer, mostly because it just makes it much easier. Do I want and need to be stronger? Yes. Do I want to be as strong as my husband? No. I have no desire to be masculine; I am a woman, and I plan to cling to my feminine side. It is who I am. While this lady states that it doesn’t bother her, she still prefers to call herself a hunter, and not a huntress. In reply to her comment, we stated that we really didn’t understand what it meant to hunt like a girl. The main thing that popped into my mind was women who prefer to wear makeup and have perfect hair while hunting. However, this was not what she meant by that comment at all. She went on to explain that she meant hunting like a girl to mean shooting does, and not getting a buck. I can confess, I am a little confused by this statement. Big mature does are some of the smartest deer in the woods, and can often be more challenging than bucks because they do not slip up as easily. And, I’ve never really seen does being for women and bucks being for guys; I personally have taken both, and try to get at least one of each every season. But regardless of how this lady sees it, we are just happy that she’s out there doing her thing. Hunter or huntress, it doesn’t matter; just keep hunting! Okay, let’s look at another statement; this one a little harsher, but again this is someone’s honest opinion, and we truly appreciate the honesty! “To me the word Huntress is very disrespectful and stupid. To me it represents as a glamafide make up wearing ditsy women who is trying to be a hunter. A Hunter is a person man or woman who goes out to hunt, to harvest an animal to provide for their family. Someone who goes to the the Mountains, where theres no high fences, no one driving game to you. Just you and your weapon of choice hunting the game of you choose. But that’s just my opinion. 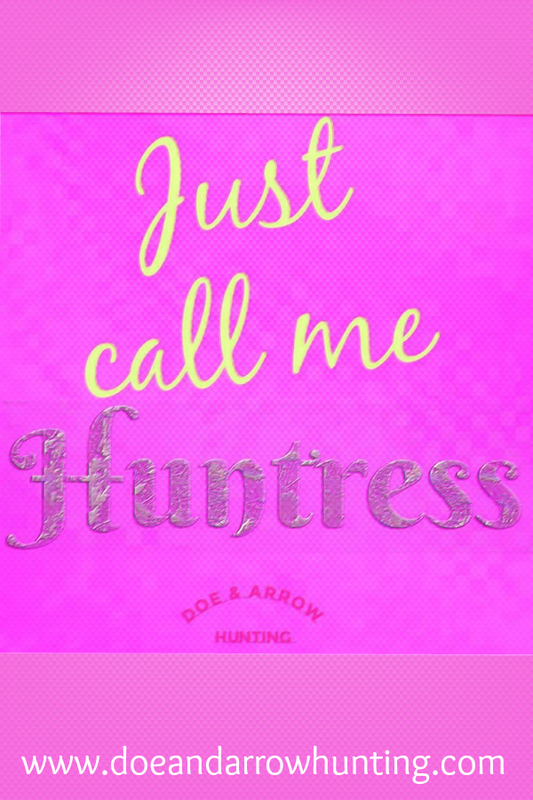 An yes when someone calls me a huntress it pisses me off so bad! Alright. Wow! Like I said before, we at Doe & Arrow Hunting really do appreciate the honesty. And, truthfully, this is what I expected to see a little more of. Maybe not quite so harshly, but nonetheless, it was expected. And, this lady is 100% entitled to her opinion. Yet, I have to wonder if she and all the other women out there who find it offensive are offended by being called Miss, Mrs., or ma’am? I mean, aren’t they kind of all the same? You know, like insinuating that you are indeed a female. But, anyway, like I said it is an honest opinion. There are lots of women out there who feel the same way. We were glad this lady spoke up and said what we had so expected to hear! And, she is right; hunter is a broad term that encompasses men and women. So, again, it just comes to down to opinion and preference. Call yourself whatever you like and keep on doing what you’re doing! There you have it. Now let’s take a look at a couple of the many, many positive statements we received. Thankfully we had several comments very similar to this one. This point was resonated by several women. And, I could not agree with them more. It all goes back to the whole Miss, Mrs., and ma’am example. These are all titles given to women in order to identify them as just that, women. So, why not huntress? After all, we are females who hunt. Right? To wrap it up, the Doe & Arrow Hunting team was very happy with the results! We are a team of 3 ladies, all very proud to wear the title huntress. We embrace our feminine side, while at the same time getting out there and enjoying the great outdoors! Hunting is not exclusive to men; there is no such thing as hunting like a girl. There is only hunting! Some hunters are males and some are females. And, there is absolutely nothing wrong with taking pride in being a woman in the hunting world. Wear the title with pride. Regardless of what you prefer to call yourself, if you are a woman hunter, you are a huntress. However, as already pointed out, you are also a hunter, so you are free to choose whichever title you like. And again, I will say this on behalf of the Doe & Arrow Hunting team, we truly do not care what you call yourself; we are just happy that you hunt! We hope that you will continue to do what you love and keep passing the tradition on! Now, let’s end it with a fun quote from one of our male followers. We couldn’t help but to love his outlook on the word huntress.